11 JUNE 1795 – A SQUADRON OF BRITISH WARSHIPS ANCHORED IN SIMON’S BAY (FALSE BAY) AND THE COMMANDER OF THE DUTCH EAST INDIA COMPANY’S FORCES AT THE CAPE, COL R J GORDON, ORDERED THAT A NEW BATTERY, NAMED “KYK IN DE POT” BATTERY, SHOULD BE BUILT ON A HILLOCK OVERLOOKING WHAT IS NOW GRANGER BAY. 13 SEP 1795 – BRITISH SHIPS SAILED FROM FALSE BAY TO THREATEN TABLE BAY IN SUPPORT OF BRITISH ADVANCE ACROSS THE PENINSULA. TWO DAYS LATER THE DUTCH FORCES CAPITULATED. 1806 – WITH THE SECOND OCCUPATION OF THE CAPE BY BRITISH FORCES “KYK IN DE POT” BATTERY WAS ALTERED ON ORDERS OF LT GEN SIR DAVID BAIRD. 1827 – ORDERS WERE GIVEN FOR “KYK IN DE POT” AND A NUMBER OF OTHER BATTERIES TO BE DISMANTLED BUT THE LAND WAS NOT SOLD. 12 APR 1861 – THE AMERICAN CIVIL WAR BROKE OUT AND “KYK IN DE POT” BATTERY WAS RE-ARMED WITH SIX 32-POUNDERS. 22 JAN 1862 – NEW WAR FEARS PROMPTED LT GEN R H WYNYARD TO WRITE TO THE GOVERNOR ABOUT THE INADEQUACY OF THE CAPE’S DEFENCES. 3 FEB 1862 – ONE HUNDRED CONVICTS FROM THE NEARBY BREAKWATER PRISON STARTED WORK TO IMPROVE THE EARTHWORKS IN THE BATTERY WHICH WAS SUBSEQUENTLY NAMED FORT WYNYARD AFTER LT GEN WYNYARD. 1862-1914 – FORT WYNYARD WAS REMODELLED AND ARMED WITH VARIOUS BREECH-LOADING, MUZZLE-LOADING AND QUICK-FIRING GUNS. 4 AUG 1914 – ON THE OUTBREAK OF THE FIRST WORLD WAR, FORT WYNYARD WAS MANNED BY PERSONNEL OF THE ROYAL GARRISON ARTILLERY, CAPE GARRISON ARTILLERY, ROYAL ENGINEERS & THE LANCASTER REGIMENT. 1917-1939 – FORT WYNYARD WAS USED AS A BASIC TRAINING DEPOT FOR SA HEAVY ARTILLERY RECRUITS TRAINED BY CAPE GARRISON INSTRUCTORS BEFORE EMBARKING IN A TROOPSHIP FOR ENGLAND. A NEWSPAPER REPORT DATED 1 MARCH 1929, RECORD THAT THE HIGHLIGHT OF THE PRACTICE SHOOTS WAS THE CARRUTHERS TROPHY COMPETITION (THE TROPHY IS PRESENTLY KEPT IN THE UNIT’S OFFICERS’ MESS IN THE CASTLE). 3 SEP 1939 – GREAT BRITAIN DECLARED WAR ON GERMANY AND FORT WYNYARD WAS MANNED BY A “MIXED DETACHMENT OF PERMANENT FORCE, CAPE GARRISON ARTILLERY GUNNERS & PERSONNEL FROM THE SPECIAL SERVICE BATTALION AND SERVES AS CAPE TOWN’S CLOSE DEFENCE AND EXAMINATIONS SERVICE BATTERY. 3 NOV 1941 – THE FIRST CAPE CORPS GUNNERS WERE DRAFTED TO THE BATTERY. 26 JUN 1942 – WOMEN’S AUXILIARY ARMY SERVICE ARTILLERY SPECIALISTS WERE POSTED TO THE BATTERY IN ORDER TO RELEASE MALE PERSONELLE IN THE BATTERY OBSERVATION POST FOR SERVICE IN A WAR ZONE. 15 AUG 1945 – WYNYARD BATTERY REMAINED OPERATIONAL UNTIL THE END OF THE WAR WITH JAPAN. 1962 FORT WYNYARD BATTERY BECAME THE HEADQUARTERS OF THE SA NAVY’S COAST ARTILLERY MAINTENANCE UNIT IN CAPE TOWN. 14 MAY 1976 – FORT WYNYARD PROCLAIMED A NATIONAL MONUMENT. 1982-1987 – FORT WYNYARD CONVERTED INTO AN OPEN AIR MUSEUM AND MAINTAINED BY THE SA NAVY. 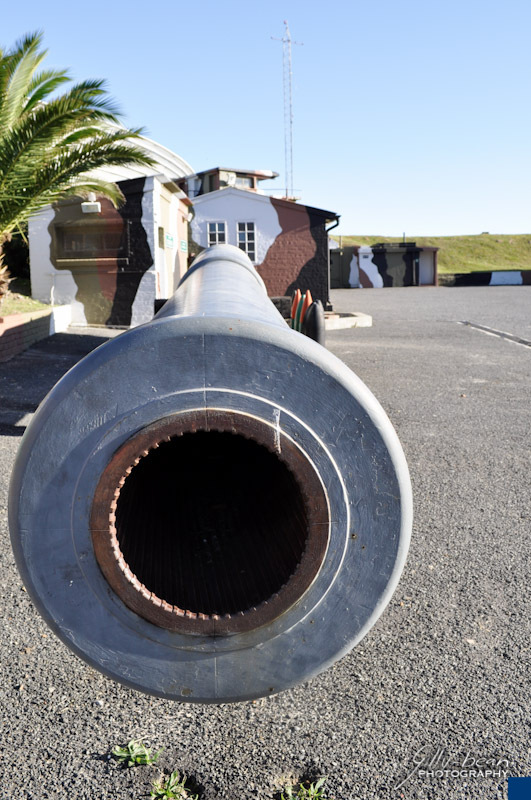 1992 – STAFF OF THE MUSEUM WAS TRANSFERRED TO SIMONSTOWN AND THE FORT BECAME THE NEW HEADQUARTERS OF CAPE GARRISON ARTILLERY. THE HISTORICAL LINK FORGED BETWEEN THE FORT AND CAPE GARRISON ARTILLERY HAD BEEN RENEWED.